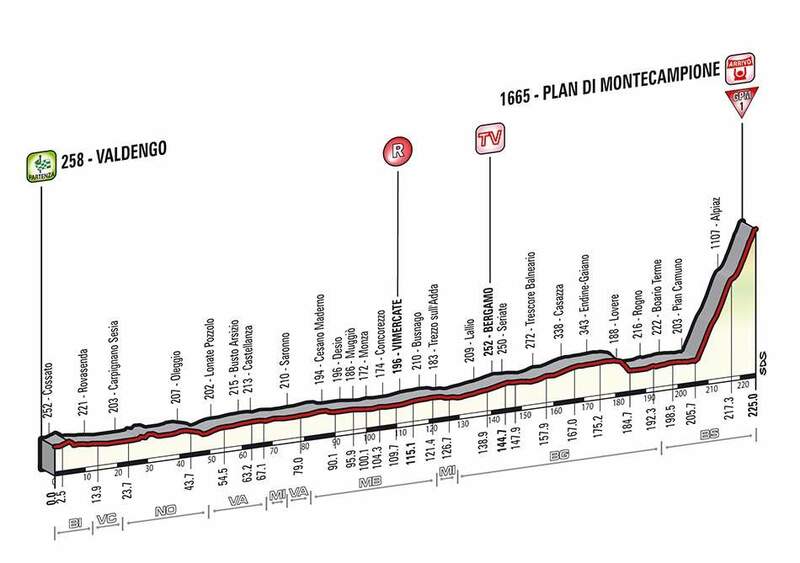 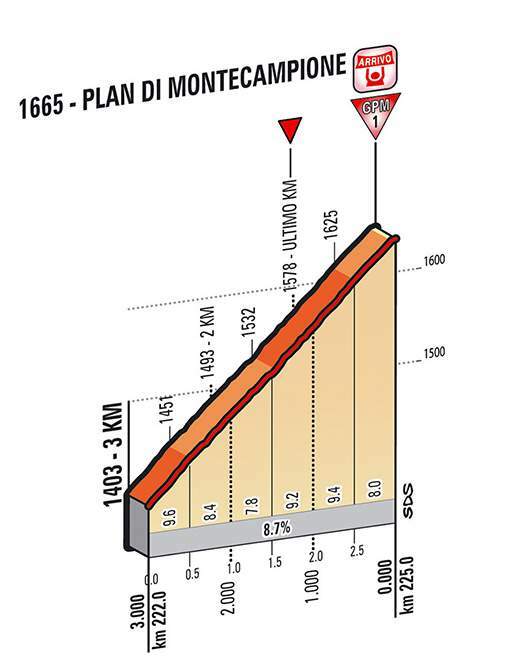 Stage 15 of the Giro d’Italia 2014 is a 225 km high mountain stage from Valdengo to Plan di Montecampione. 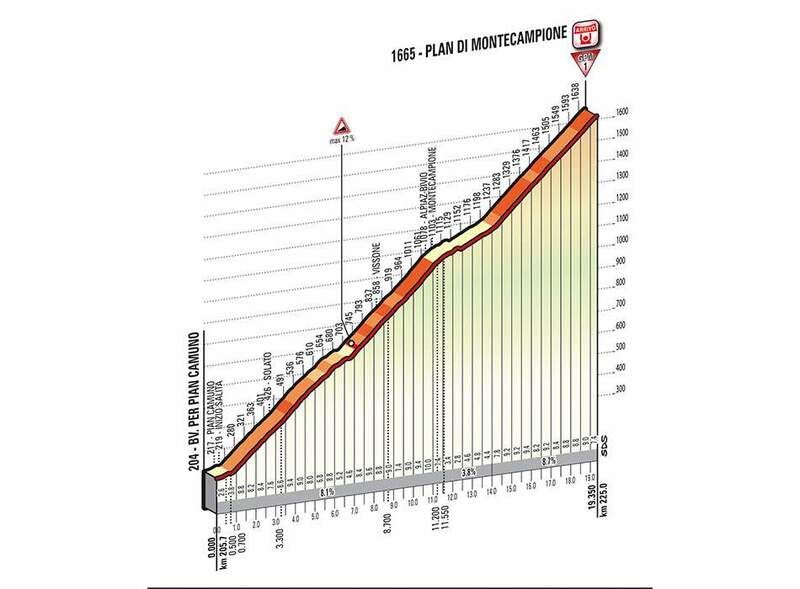 The route is mostly flat until 205.7th km, then the climb starts and the stage finishes atop 1665-meter-high Plan di Montecampione. 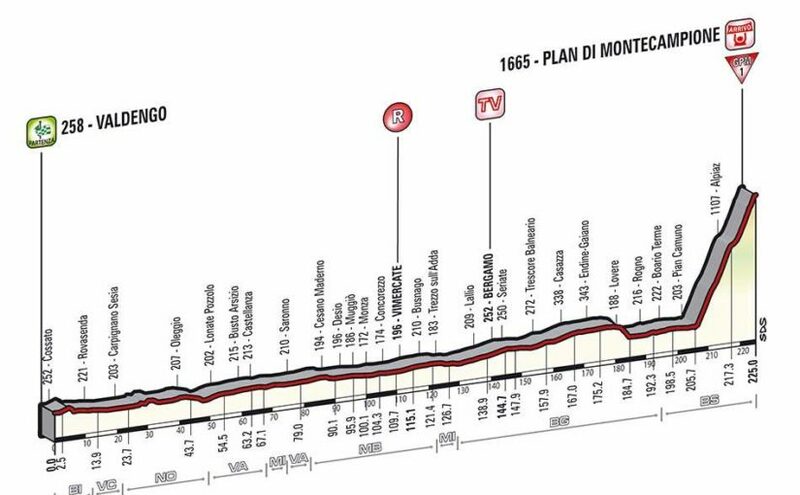 Valdengo is a comune (municipality) in the Province of Biella in the Italian region Piedmont, located about 60 km northeast of Turin and about 3 km southeast of Biella. 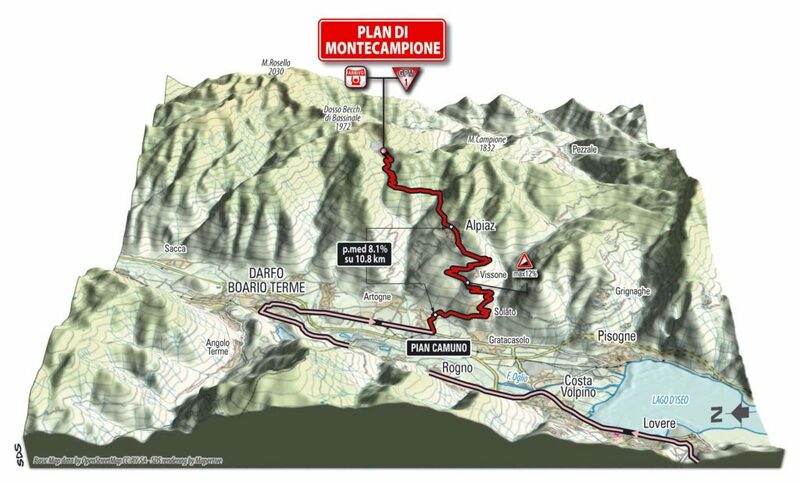 Montecampione is a ski resort in Valcamonica, Lombardy, northern Italy. 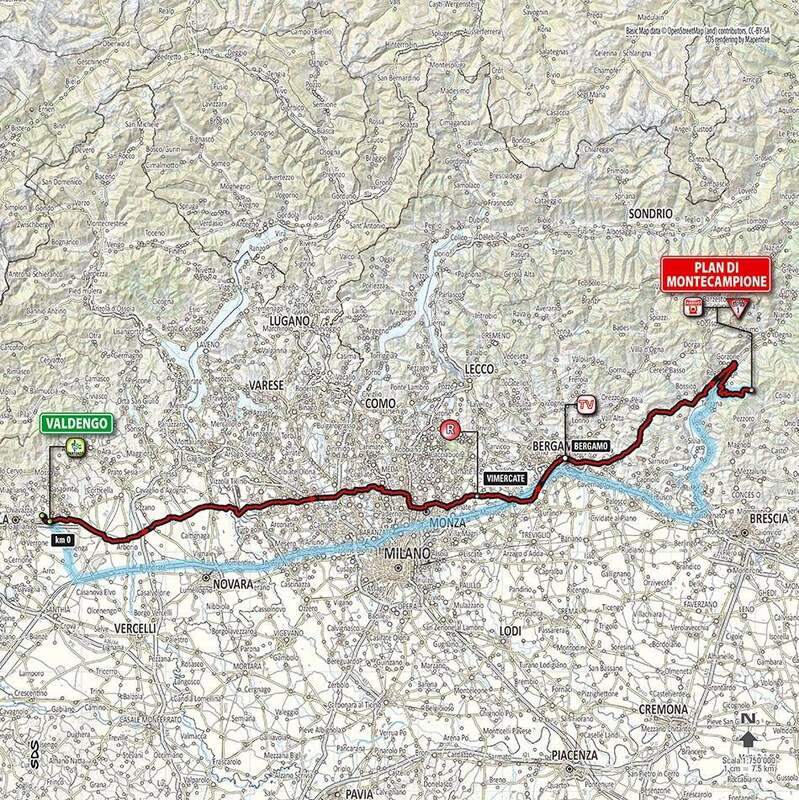 It is located 60 km from Brescia and 95 km from Milan, near Lake Iseo. 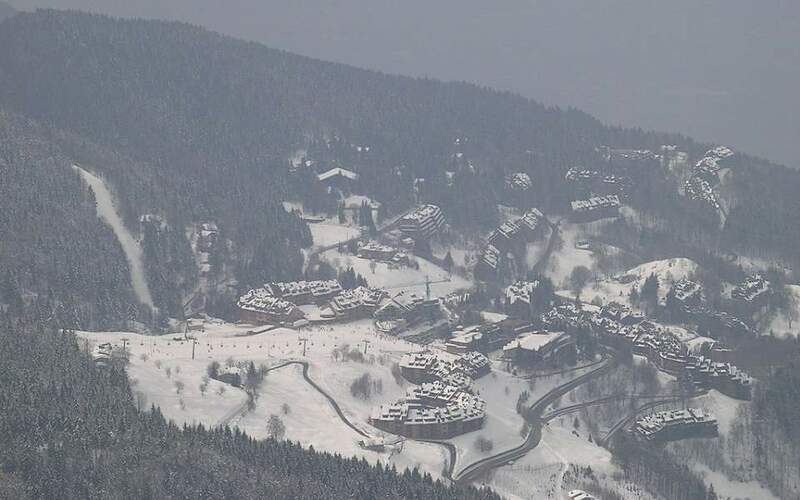 It operates from mid December to end March.Montecampione is the closest ski resort to Milan Orio al Serio airport.It’s a great ski resort for beginners.